The Democratic Republic of Congo is a country in a post-conflict situation, the population live in extreme poverty conditions. The wars have seriously affected economic activities and the state is virtually nonexistent and incapable of delivering any kind of public services. Hence youth in search of employment tend to enroll in militias; this creates a situation of chronic insecurity. For this reason a project that could contribute to job creation would be of great help in order to restore peace. The areas of Oicha and Mbau have a great potential for agricultural production. In these areas soils are very fertile and could be suitable for both cash and food-crops. Palm-oil, cocoa, papaya, rice, beans, manioc, soya and banana are the main crops suitable for the area. Besides agriculture this area has a real potential in terms of hydro-energy production, which could enable producers to better conserve and transform their products, improving their revenues. On the contrary at the moment local products, being perishable, are sold at very low prices, thereby discouraging local farmers to increase their production. In addition to this, the town of Oicha is facing increasing difficulties in terms of water supply, as the lack of energy prevent the water from being pumped into the tanks from which the water could supplied. Therefore the population, in particular women, has to collect water from unsafe wells, which causes a very high incidence of gastro-intestinal diseases. This project received a grant from the Nando Peretti Foundation. It will address the above mentioned problems through the installation of a 90 KW Hydro power plant. The plant will be installed along the river Ngite where works have already started by the Passionist Fathers who have already built a dam and a 2 kilometers long road that gives access to the site. - Information, education and communication activities to involve the local community and obtain their contribution in work and in cash to the project. - Buying the turbine from an Italian manufacturer. - Buying electrical material in Uganda. - Building the turbine room. - Installing the turbine and the alternator. - Preparing poles for the distribution lines and designing the distribution line. - Installing cables and transformers. - Supplying electricity to beneficiaries. - Installing the electrical system for water pumping to the tanks. - Implementing a management and monitoring committee. The idea of the project builds on the management experience gained by LIDE in the establishment of more than 1.500 microcredit groups (named MUSO from the French "Mutuelles de Solidarité"). Member of Muso in the area of Oicha and Mbau (120 groups, for a total of 2.400 families involved) will play a central role in the management of the project. The project will be jointly managed by a committee composed by a member from LIDE, a member from Fratelli dell'Uomo, 2 member designated by the coordination committee of the MUSO a member from the Passionist Fathers. - Increased revenues for small farmers who will be able to better conserve and transform their products. - Job creation through the establishment of artisanal workshops. - Improvement of operating conditions for the local hospital. - Better access to safe water for the local population. - Prevention of youth enrolment in local militias. 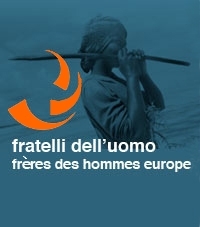 Since 2009 Fratelli dell'Uomo has been cooperating with the local partner LIDE (Ligue pour le Développement - Development League), a community based organization active in Northern Kivu and specialized in micro-credits and community development projects. The cooperation initially consisted in an institutional support to LIDE in order to strengthen the skills of the organization. In 2011 the two organizations jointly implemented a project for the installation of a 40 Kw micro hydro energy plant in the small town of Kirumba. The success of this project which permitted to improve significantly living conditions for the local community, encouraged Fratelli dell'Uomo to commit itself to a larger scale project which foresees the installation of a 90 Kw hydro energy plant which would cover energy needs for basic services in the town of Oicha amd surrounding rural areas.